"Why Do We Hate?" asks Sally Wiener Grotta, author of the recently released novel "Jo Joe" (Pixel Hall Press), which explores the roots and impact of prejudice, in a beautifully crafted, compelling story. Why do we hate? What are the roots of prejudice? Of bigotry and cruelty? In today's America, racial and ethnic identity is no longer cut and dried, yet prejudice and misunderstandings abide. Who are you? Who are your people? What could I possibly have in common with “those others”? Author Sally Wiener Grotta inspires her readers to explore these kinds of questions, through her essays, personal appearances and her recently published novel "Jo Joe" . When Ms. Grotta spoke at the annual Jewish Book Council conference in New York City last spring, she discussed the unanswerable questions and personal passions that drove her to write "Jo Joe". A video captures the essence of that speech. “Why do we hate? What are the roots of prejudice? Of bigotry and cruelty? How is it that families who love each other so deeply can misunderstand each other so completely, and through what they believe are well-intentioned loving actions, hurt each other so severely?” she asked the JBC audience -- and continues to ask her readers to consider. In “Jo Joe,” Sally Wiener Grotta explores the ethnic/racial divides in 21st century America. 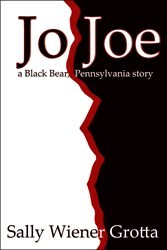 A story about contemporary human relationships, "Jo Joe" is a mystery of the heart that takes the reader through a single week, which starts out with twisted memories, love that becomes hate, bigotry that explodes into violence, and ends with a surprising revelation. “Jo Joe’s” themes of Jewish and Black identity, as well as childhood memories as an "outsider," are particularly suited for lively, interesting discussions on the subject of prejudice, bias and forgiveness. A complimentary Study Guide for book discussion leaders is available from the Pixel Hall Press website. Pixel Hall Press will facilitate Skype, Google Hangout or phone conferences between Sally Wiener Grotta and book discussion groups or classes, and when possible, author personal appearances. “Jo Joe” is available in hardbound, paperback and all eBook formats from all bookstores, including Amazon, Barnes & Noble, Apple iBookstore, and an independent store near you. The public is welcome to download an excerpt of "Jo Joe" to see for themselves what the rave reviews are about. Sally Wiener Grotta is the consummate storyteller, reflecting her deep humanism and appreciation for the poignancy of life. As an award-winning journalist, she has authored many hundreds of articles, columns and reviews for scores of glossy magazines, newspapers and online publications. A member of the American Society of Journalists & Authors, she is also the co-author of numerous non-fiction books. Her short fiction has appeared in “The North Atlantic Review. Her next novel “The Winter Boy” will be published in 2014.